Now that Apple 'don't do trade shows', the Worldwide Developers Conference (WWDC), held annually in early June, has become the platform at which major announcements are made, and this year's event was no exception. Apple's increasingly frail‑looking but still twinkly‑eyed CEO Steve Jobs surprised sceptics by previewing OS X Lion, iOS 5 and iCloud. With a range of features that draws Mac users ever‑closer to the iOS experience, perhaps the most challenging revelation was that Lion will be available as a download only (yes, an operating system!) from the Mac App store, for $29. You'll need OS 10.6.6 already installed, so the 4GB download won't include everything, but that's still a significant step, and a particular challenge for those without broadband (even in the US, that's 40 percent of the population), or with a data download limit on their contract. A further challenge for some will be that Core Duo‑ and Core Solo‑based Macs will not be compatible with the new OS (Core 2 Duo and later are OK). Jobs may be frail, but the 'vision' is still very clear. Following his statement earlier this year that a PC or Mac is now "just another device”, the brand‑aware will have spotted that what was Mac OS X is now just OS X. Less a sign that the Mac is to be sidelined and more an indication of a 'whole ecosystem' approach — we hope! OS X Lion will only be available as a download. 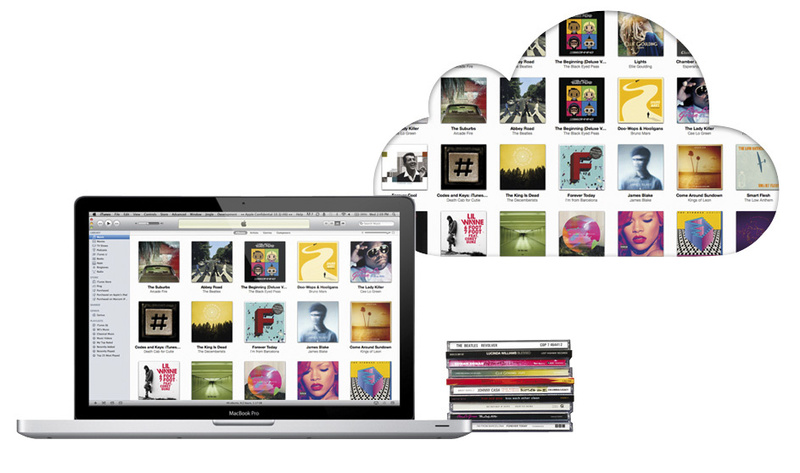 Those of us taking note of Apple's purchase of server farms and music distribution services will not be surprised by the appearance of iCloud. What came as a surprise to some (especially those who have been forking out the annual subscription for MobileMe) is that iCloud will be free. 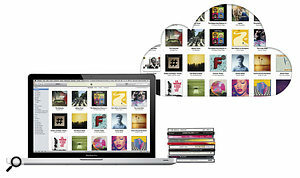 It will provide cloud‑based services including storage of iTunes purchases, photos and 5GB of additional data, and will replace much of what MobileMe (which disappears on 30 June 2012) currently provides. At the time of writing, this service is already available to US users of iTunes 10.3, and allows you to share tracks you buy from the iTunes Store to all your devices (remember, your Mac is also one of your devices!). You are limited to 10 devices, and the service will become available elsewhere subject to record company agreements in those territories. The equivalent of this service for mobile apps is already available to all users of iTunes 10.3, whereby you can view a list of all the apps you have ever purchased and download the ones you want to that device. Alternatively, you can choose to push apps out to compatible devices automatically. Next up is iTunes Match. Some iTunes users have songs in their library that didn't come from the iTunes Store — perhaps they were ripped from CD or downloaded from another legitimate music store. iTunes Match promises to search the iTunes store for all the songs it recognises (no, I'm not sure how it's going to do that), then offer you the opportunity to download the 256kbps version, again sync'ing to your other devices if you wish. The catch is that it will cost $24.99 a year, but given that the limit is 25,000 songs, you could potentially view this as a way to legitimise your music collection for as little as one cent a track (not that I am accusing anyone of stealing music). So the debate starts right here: if you already steal music, why would you pay for it? That's like going back to the car owner whose car you stole and offering them a very small amount of cash by way of apology. If you already steal music, you know how to move it to all your devices already. And if you didn't steal music before, you might now, because you can legitimise everything you steal for less than it costs to purchase the 'real thing' from iTunes. I guess the secret must be in the maths. Record company and iTunes execs must have taken a view on how best to monetise 'shared' music, betting that as long as people don't run up really huge libraries of stolen music, the return from iTunes Match is better than ignoring the problem. It's hard to get accurate figures, but I would estimate that the highest number of music 'transactions' takes place not on the iTunes store (and certainly not in record stores any more) but on Facebook. For those of us who make the music in the first place and were brought up not to steal, watching what happens next will be a fascinating process! iOS 5 will be available "in the fall”, will contain over 200 new features, and is a requirement for iCloud (see main text), as is OS X Lion. Perhaps its most significant feature is that it will be the last update that requires download to a Mac and sync via USB. 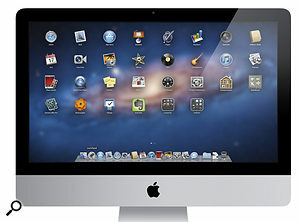 Furthermore, freshly purchased iOS 5‑equipped devices will not require connection to a Mac or PC to set them up. That taps into a significant market of those who may not own or have access to a computer but wish to use a mobile device. Subsequent upgrades will be downloadable straight to the device, and iCloud will take care of backup and sync'ing.